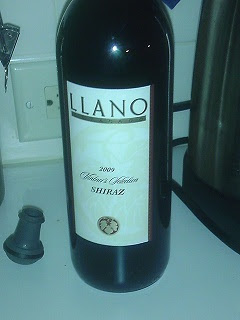 Tried a Shiraz from Texas Winery Llano Estacado. Comes from their Vintners Collection. Winos rated this one a "Neutral" as they could not agree to purchase it again. Something did not quite work when the Red Wino had a glass. Not sure what it was, or maybe it's because the taste buds have an affinity to Yellowtail Shiraz. 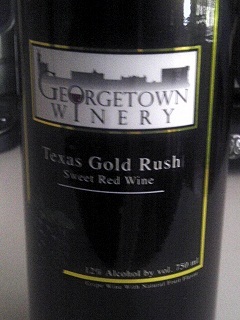 Received a bottle of Texas Gold Rush - a Sweet Red Wine from the Georgetown Winery in Texas from Friends as a gift! Really impressed,... this one gets a "Good Rating" from the two Winos! Will definitely buy this one again. Even more, this one earns a Number One Sweet Red! That is, if asked which Sweet Red Wine we would chose over others, it would be the Texas Gold Rush. Sweet taste with a 12% alcohol content to boot. Only issue - sold in Texas only. Glad we live in Texas! Here is one we tried on a whim. Comes in a screw top bottle. 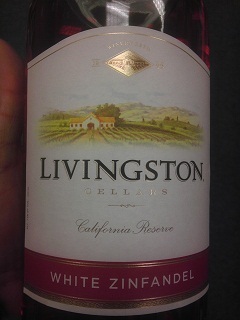 A White Zinfandel from California. 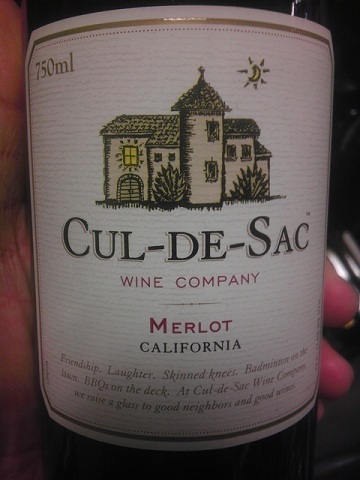 Has a slight sweet taste that the Red Wine Wino was okay with. For the White Wine Wino, preferred other wines over this one. This one gets a "Neutral Rating". 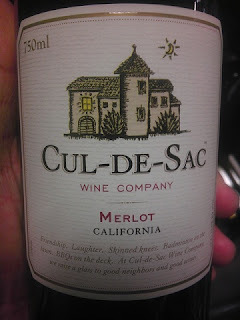 Here is a Merlot that caught the Red Wine Wino off guard. Cost $2.98 at the local Grocery Store. Got an immediate "Good Rating" after the first glass! White Wine Wino agreed that it was a good red wine but still prefers white wine over red wine. Go figure.... Regardless, both agreed to purchase again! Result: "Good Rating". Was shopping for steaks at our local grocery store. Spied this one in the Wine Section. 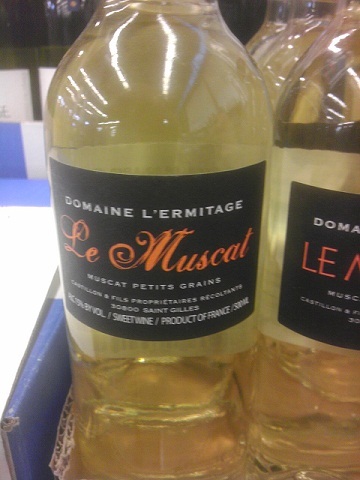 It's a French muscat wine - Le Muscat. Comes in 500ml bottles and is rated at 15% Alcohol Content. Strong for a Muscat! White Wine Wino did not like it.... Something about an after taste. Red Wine Wino was good to go but alcohol content may have contributed to the decision. This one gets a "Neutral Rating" since the Winos cannot agree. We know it's not wine but we liked this one so much we felt it should be posted on the weblog. Trader Vic's Macadamia Nut Liqueur gets a "Good Rating"; both Winos agree to buy this one again in the future! Thanks for the tip "NucLaroche"! On the road in Central Texas. Stopped in Gruene for some refreshments. White Wine Wino opts for the Grist Mill for music and a taste of their house wine. 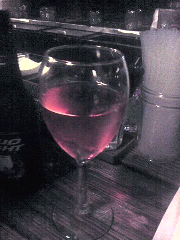 In this case, it is Beringer's White Zinfandel. Had this one before.... Keeps its Good Rating. Live music and great company make it even better!